A single food-poisoning incident will ruin the reputation of any respectable food establishment. Ozone water can kill and eliminate 99.9% of pathogens that cause food poisoning such as E.coli and Salmonella in 10 seconds*, effectively minimising such risks. Cleanse and eliminate germs and bacteria from all food ingredients that require no cooking – so that you can serve your salad greens, fresh fruits, sushi and sashimi with total a peace of mind. Neutralise and remove all traces of pesticides and agro-chemicals from conventional vegetables and fruits – yielding fresher and more flavourful tasting dishes, as well as being healthier and safer. Prolong the shelf life of fresh produce such as vegetables, fruits, seafood and meat, hence significant savings from reduced spoilage and perishable loss. Maintain the texture, colour and taste of gourmet meats and seafood. 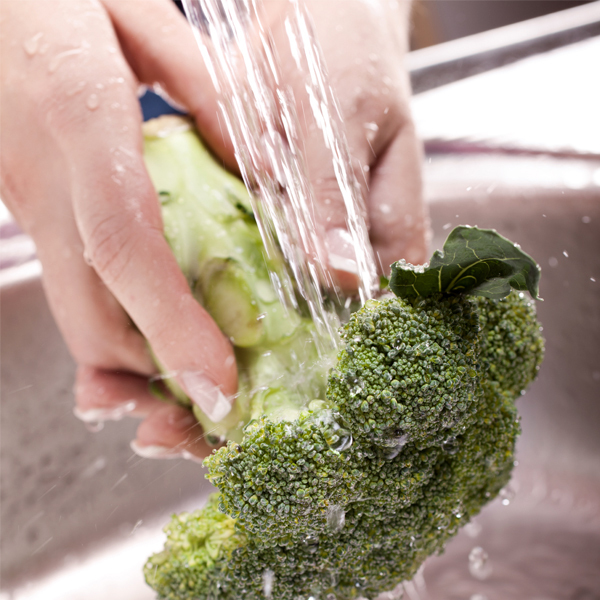 Remove chlorine residues and its unpleasant taste from tap water. Wash kitchen utensils, cutlery, crockery and work surfaces for bacteria-free environment. Rinse wine glasses which otherwise will require special cleaning procedures. Clean toilets and washrooms to remove unpleasant odours. Wash soiled cloths from wiping dining tables.